The wind was ripping across from the sea at dawn. There was lashing rain as well and it was just a question of waiting it out and hoping for better. By mid-morning though the rain had stopped and the winds had eased and so we headed towards Cnicht (the Knight), the striking peak that stands south of the Snowdon range overlooking the coastline. This was my brother’s first mountain peak – so I’d chosen something dramatic but not too challenging. 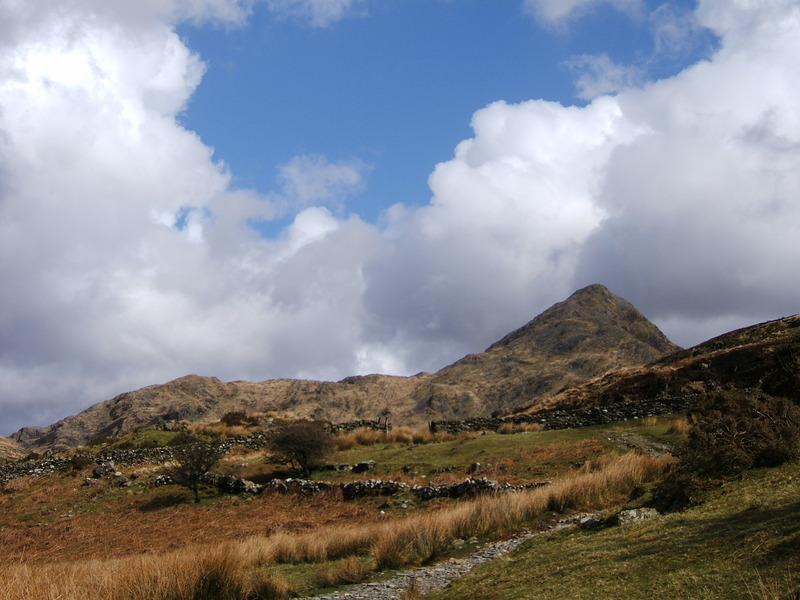 The walk out of Croesor takes you gradually up the ridge to the summit with the North Wales coast line stretching out behind you, while across the valley to the north west there are clear views of Moel Hebog and behind that the Nantille ridge. The only problem was the fierce wind form the north and at one point we had to take shelter behind an outcrop before tacking an exposed part of the ridge. There is short scramble to the summit, which though it then leads o nto an extended ridge to the west, still feels like and exposed and dramatic top with awesome views all around. After that it was a gentle walk over the ridge to the second peak, Cnicht South Top, and then down to Llyn yr Adar (lake of the birds). 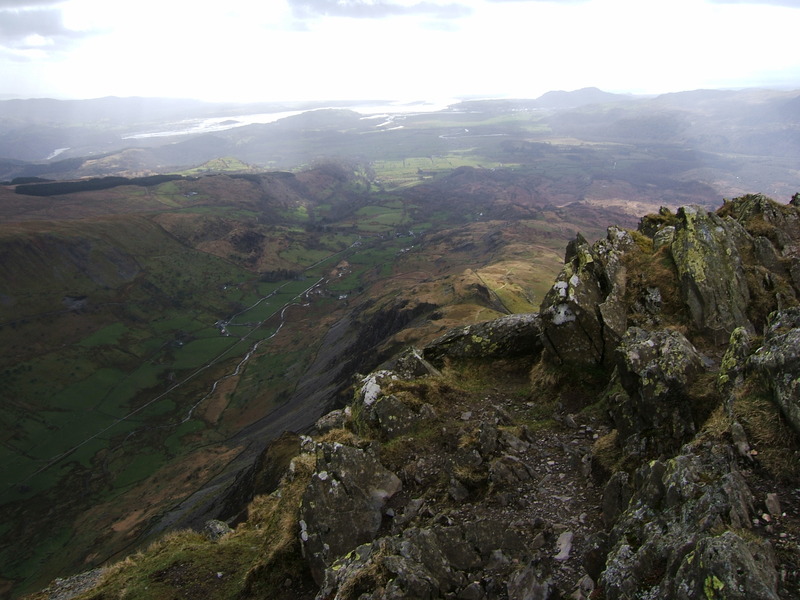 The full horseshoe walk take you over the higher peaks of the Moelwyns but we kept that for another trip and cut back down past the old quarry works and onto the path along the side of Cwm Croesor. Despite a short burst of heavy rain this was a gentle walk with the hills glistening as the sun returned after the downpour.